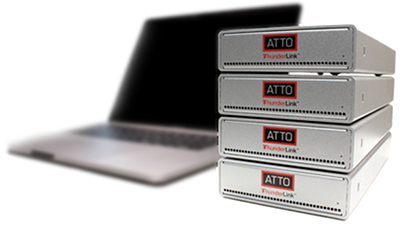 The ATTO ThunderLink FC 2082 acts as an external Thunderbolt 2 to Fibre Channel adapter, connecting Thunderbolt enabled all-in-one workbooks and workstations to 8Gb/s Fibre Channel networks and storage devices. 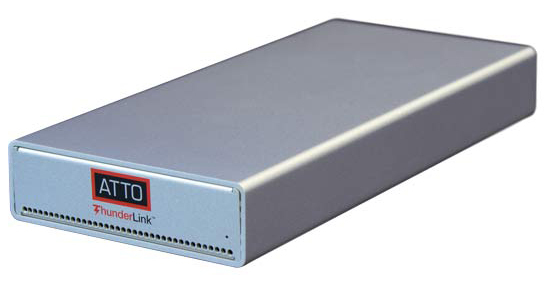 With dual channel configurations, the 8Gb/s Fibre Channel ThunderLink is an ideal solution for users looking to achieve the highest I/O and data throughput for advanced video and access to IT applications. 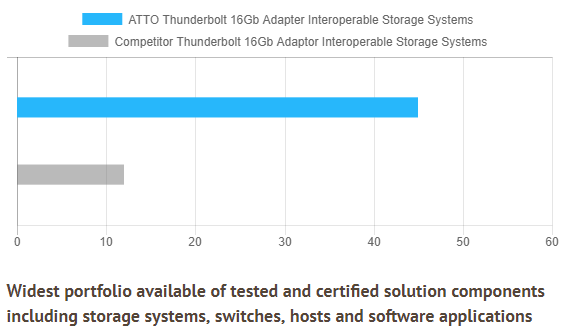 8Gb/s ThunderLink offer driver support for Mac and Windows, providing a single connectivity solution for customers with multiple operating system environments. 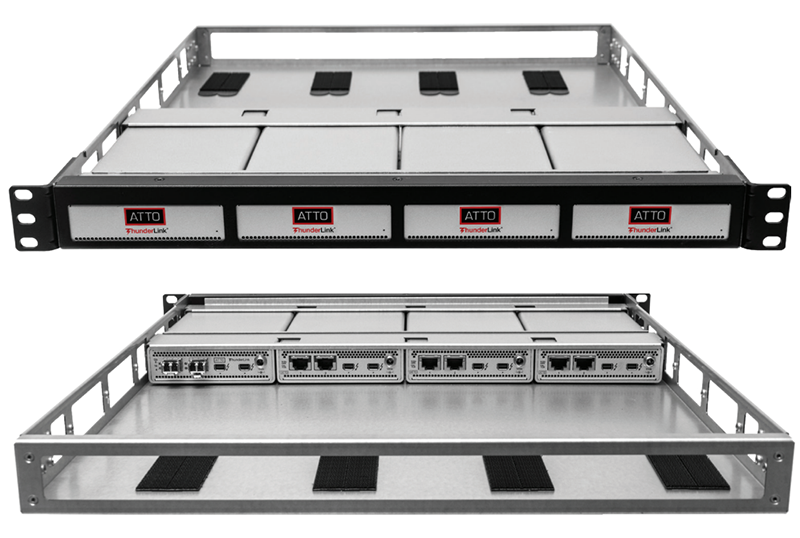 With dual-channel configurations, and support for load balancing and failover, the 8Gb Fibre Channel adapters are an ideal solution for users looking to achieve the highest I/O and data throughput for advanced video and access to IT applications. 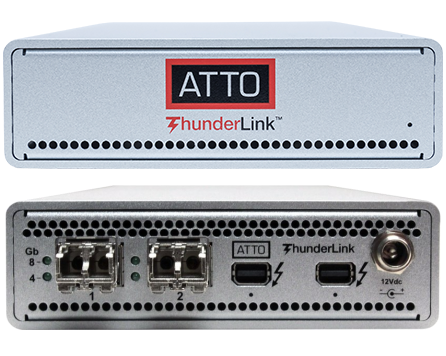 ThunderLink 8Gb Fibre Channel adapters can support both local and storage area networks for Windows, Linux, macOS, VMware, providing a single connectivity solution for customers with heterogeneous operating system environments.